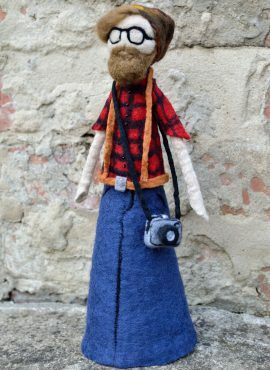 Hipster figurine with a well-groomed beard and old camera. It will be a unique gift for photographer and lovely hipster home decor. 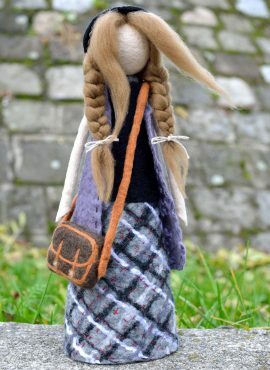 Grunge girl figurine with a leather bag and hipster hat. 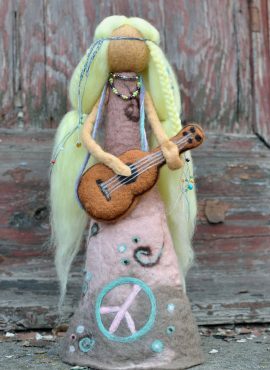 This decorative doll has alternative style and will be a perfect hipster decor for teenager's room. Rasta figurine to put on a shelf or desk. 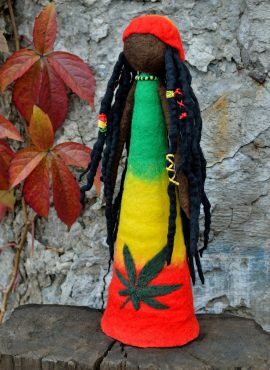 This Jamaican doll has long dreadlocks, slouchy hat and marijuana leaf. It will be a nice reggae gift for any Rastafari or fun of reggae music. 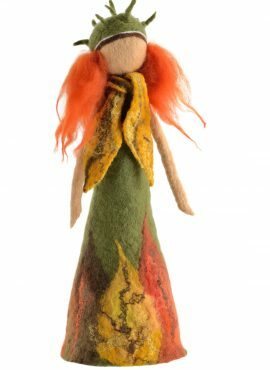 Autumn fairy figurine that will give a fall touch to every interior. It is perfect as a housewarming gift or Thanksgiving decoration. 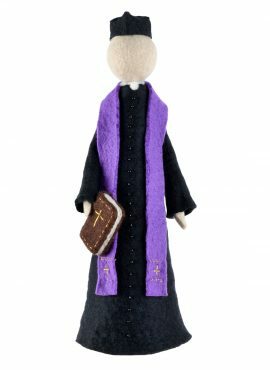 Catholic priest figurine with cassock, stole, biretta and the Bible. 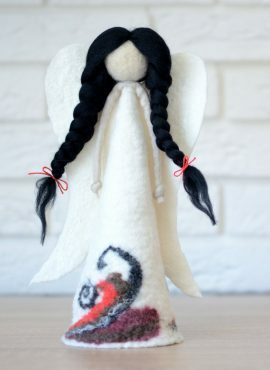 This felted statue will be a nice Holy Orders gift for a priest or a unique Christian decor to put on a shelf. 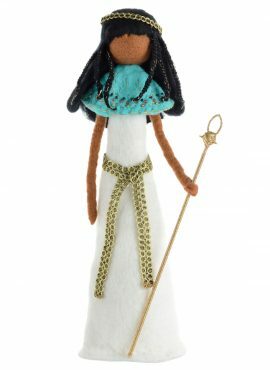 Large Cleopatra figurine - a likeness of ancient Egyptian queen. This collectible doll can be used as a home decor or office statue. 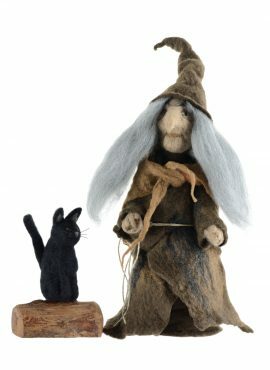 Felt witch figurine with needle felted cat. This fairytale decoration will make your home misterious and spooky. Perfect for Halloween and theme parties. 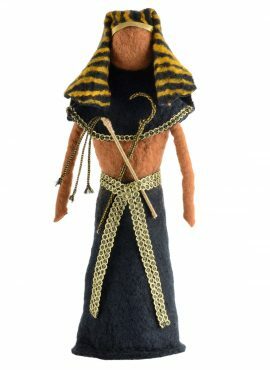 Felted pharaoh figurine - a likeness of Ramesses, ruler of ancient Egypt. You can use this collectible doll as an Egyptian home decor or office statue. 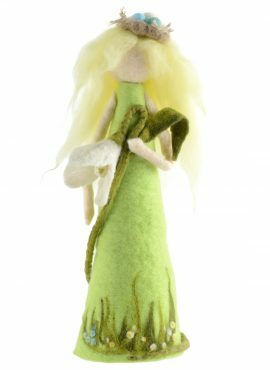 Spring fairy figurine that will give a nice fresh touch to every interior. It is a very housewarming decoration to put on a shelf, table or windowsill. 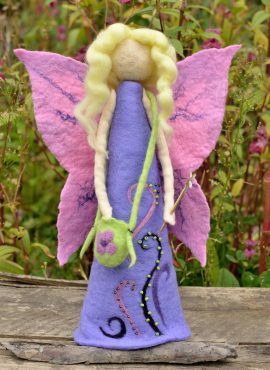 Summer fairy figurine with lovely hat and meadow dress. 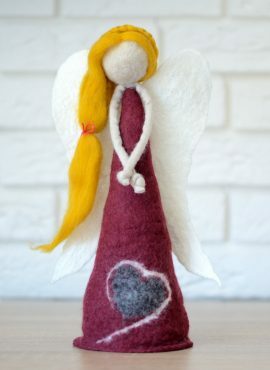 It is a very housewarming decoration to put on a shelf, table or windowsill. 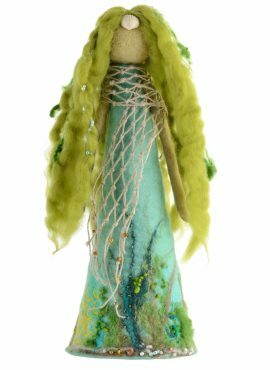 Water fairy figurine with a green dress and seashell tiara. 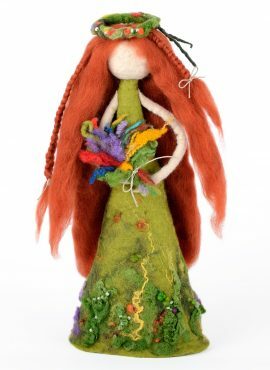 This handmade nymph will give a warm touch to your interiors. 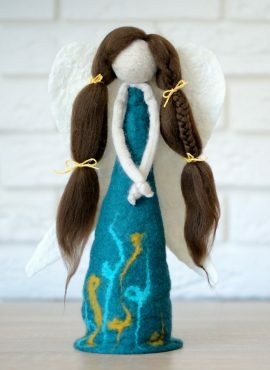 Large winter fairy figurine made in felting technique. 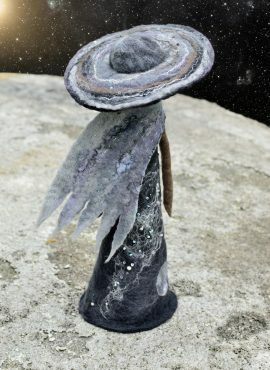 This unique handmade home decor will give a fresh and chilly touch to your interiors. 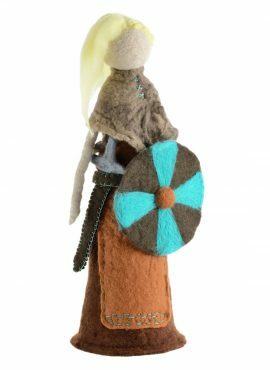 Woman warrior figurine - a likeness of Viking ruler Lagertha the shieldmaiden. 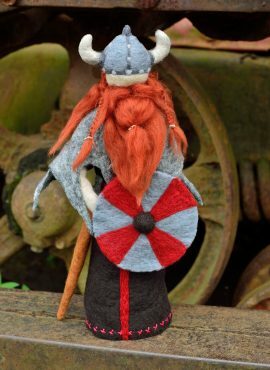 This Norse statue will be a perfect feminist gift with a lot of girl power. Emo figurine to put on a shelf. A perfect gift for every teenage girl who loves Gothic style. 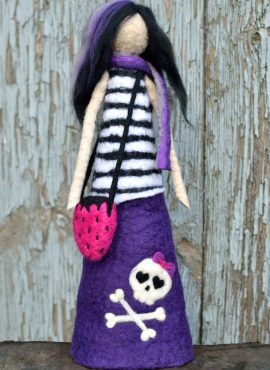 This alternative doll with skull on her dress will be a wonderful room decor and the most faithful friend for a little Goth. 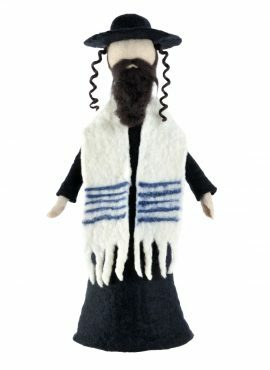 Jewish rabbi figurine perfect as bar mitzvah gift for a little Jew. It is also a Jewish decor or collectible to put on a shelf or desk and feast your eyes on it. 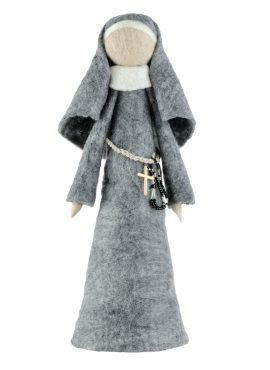 Catholic nun figurine in gray habit. 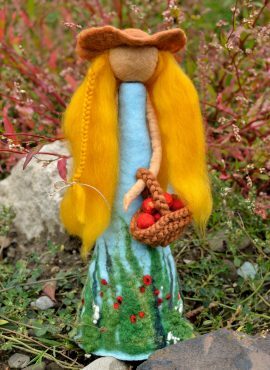 This felted doll with rosary is a nice Christian decor for religious person. It will be also a perfect educational aid to use in Waldorf school.